Madonna is an American singer, songwriter and actress. She achieved popularity by pushing the boundaries of lyrical content in mainstream popular music and imagery in her music videos, which became a fixture on MTV. Last year, Madonna was named as Woman of the Year, and her speech after being given the award is featured towards the bottom of this article. 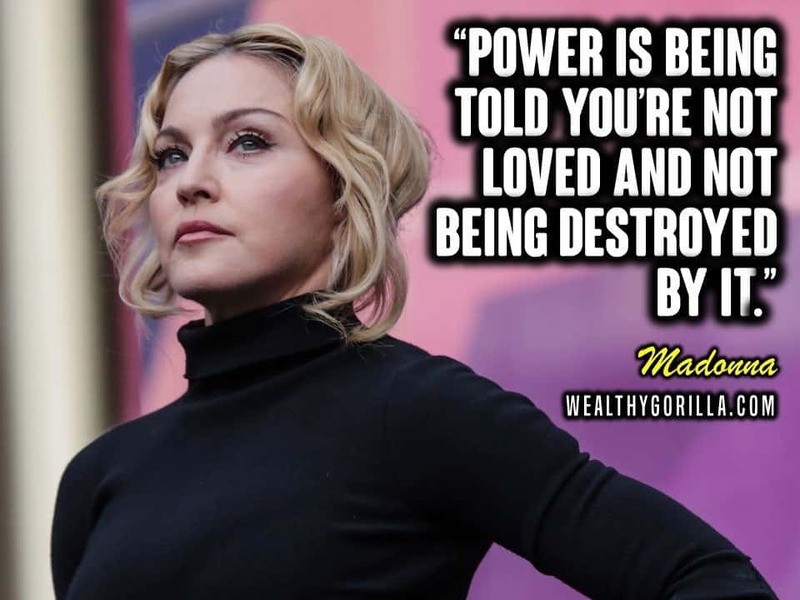 Thanks for viewing this collection of Madonna quotes! Don’t forget to share them with your friends on social media. Which are your favorite Madonna quotes? Leave a comment below. I just loved those awesome inspiring quotes, thanks to Madonna also.